Mini Art Print: If you are a fan of the wonderful Victorian ballad "The Lady of Shalott" by Alfred, Lord Tennyson, then this interpretation by the British painter G E Robertson would be a fantastic way to add some relevant artwork to your room. 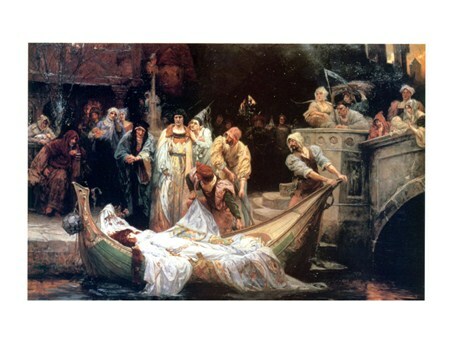 This painting depicts the particular stanza of the poem which describes the corpse of the Lady of Shalott as she floats outside the castle of Camelot. 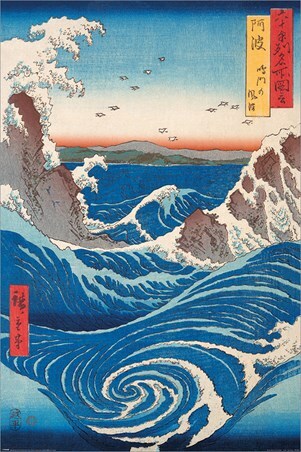 The onlookers are at first curious about the boat but then this quickly spreads to fear as they realize the body inside it is in fact dead and pale. So if you love your art to have a magnificent story behind it, then why not choose G E Robertson's interpretation of The Lady of Shalott in this mini art print.